Microsoft this week again claimed that its Edge browser uses much less power than rivals, a key part of the company's efforts to salvage the struggling Edge on Windows 10. "Microsoft Edge on the Creators Update uses 31% less power than Google Chrome 57, and 44% less power than Mozilla Firefox 52," Kyle Pflug, a senior program manager on the Edge team, contended in a post to a company blog Tuesday. Creators Update, or 1703 in Microsoft's yymm nomenclature, and the latest feature upgrade to Windows 10, began reaching customers on April 11. At the same time, Microsoft upgraded Edge's rendering engine, "EdgeHTML," to version 15; it was the fourth rendition of the engine since Windows 10's mid-2015 launch. To arrive at its claims, Microsoft measured power usage on four Surface Book laptops as the systems ran through a script of browser operations with Edge, Chrome 57 (released March 29) and Firefox 52 (March 17). The results for 16 or more test runs of each browser were then averaged. A second exam streamed video on three Surface Book notebooks equipped with Edge, Chrome and Firefox. Microsoft timed how long it took each laptop to exhaust its battery and go dark. 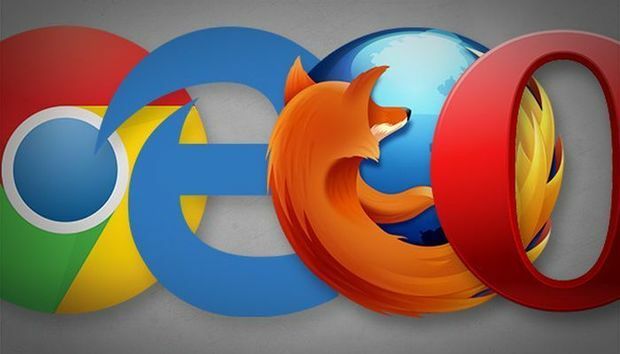 In that test, Edge lasted 35% longer than Chrome and 77% longer than Firefox. Microsoft has cited Edge's power prowess several times in the past to make a case that it's a smarter choice than Chrome and other competitors. In June 2016, the Redmond, Wash. developer touted Edge's lighter appetite, asserting that it then used 27% less power than Chrome, 35% less than Firefox. Several months later, after Google trumpeted improvements in Chrome's power management, Microsoft returned to the battery theme to again press its case. In a September test, Microsoft said Edge streamed video 45% longer than did Chrome before the notebooks' batteries died. Microsoft's regular pounding of the Edge promotional drum is most likely a response to the browser's lackluster share of the Windows 10 browser market. For the last five months, Edge's global share of Windows 10 browsers -- as measured by metrics vendor Net Applications -- has hovered near the 22% mark. A year ago, Edge accounted for about 30% of all Windows 10 browsers. Those low numbers are remarkable considering that Microsoft designated the browser as the operating system's default. Mozilla declined to comment on Microsoft's Edge power usage claims, and Google did not respond to a request for comment. Edge's portion of all browsers on Windows 10 stabilized at around 22% over the past five months, but was down by about a fourth from a year ago. How many businesses actually use machine learning? What are the real-world challenges of automating a business?